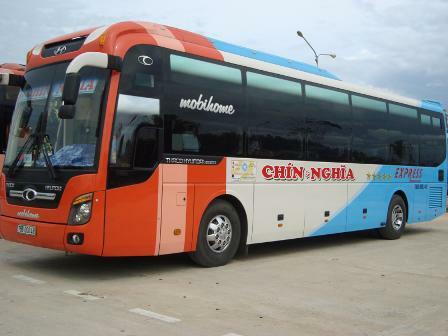 Chin Nghia Bus started as a small business founded in 2006 with only 5 to 10 buses that specializes in passenger transportation and services. 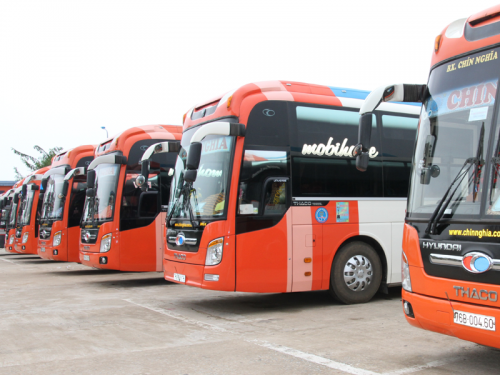 With over 10 years of operation and development in providing transport services to meet the demands of customers in Middle Vietnam and other provinces, Chin Nghia Bus has now become one of the most prestigious brands for customers all over the country. The bus company has achieved many recognitions such as the Qualified and Prestigious Enterprise, Safe Driving, Most Gained Customer Service Satisfaction and many others. Get on the next ride with Chin Nghia Bus when you book the bus tickets online with Easybook. Chin Nghia Bus serves on routes that are travelling between Quang Ngai – Ho Chi Minh, Quang Ngai – Hanoi, Quang Ngai – Dak Lak, Quang Ngai – Dak Nong, as well as Quang Ngai – Can Tho. Since these are all long-haul routes, Chin Nghia Bus are running on high-quality sleeper buses equipped with modern facilities such as televisions, air-conditioning system, free Wi-Fi, cool towels and complimentary drinking water. In addition to that, meals are also provided for passengers riding with the bus company. Their modern and comfortable sleeper bus available in orange, white or blue colour with drivers in white and green uniforms, the image of Chin Nghia Bus is definitely being noticed passing through many streets in Vietnam. Discount promotions are also available with Chin Nghia to support those who are planning to return home for their respective family reunions. The bus company will have different promotions available for different occasions as well depending on the time of your booking. Together with the integration and development of its home province in particular and the country in general, Chin Nghia has been constantly striving to grow by improving the quality of their staff members and invest in modern infrastructure including the enhancement of facilities to deliver the best services to their passengers in Vietnam. Start planning your next trip now and have a hassle-free experience when you book a bus ticket through Easybook website or the mobile app.